Young people face a lot these days, and they shouldn’t do it alone. In addition to caring adults, young people need positive peers. Everyday Youth is dedicated to reaching middle and high school students by placing a high value on relationships in a family-like atmosphere. Young people wrestle with current issues and the relevant truths of the Bible, and have a lot of fun along the way. In addition to weekly gatherings, the Everyday Youth group does all kinds of stuff together: movie nights, family dinners, and lots of different fun trips. If you are in the 7th to 12th grade (or know someone who is), get involved! 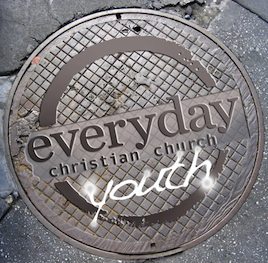 For more information: info@everydaycc.com, or call 646-290-7779.